Problem. Make a site more beautiful than that of the producer of wedding gowns. 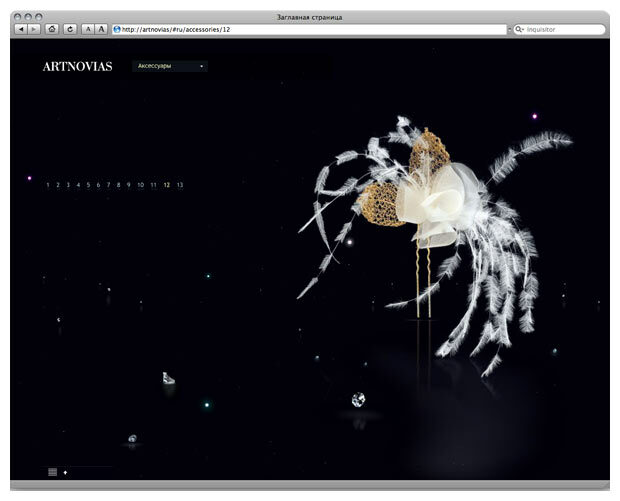 Artnovias stores network is an official representative of the famous Pronovias wedding brand in Russia. A bride dressed in a Pronovias gown cannot but shine like a star. The sections are separated from each other by several light years. 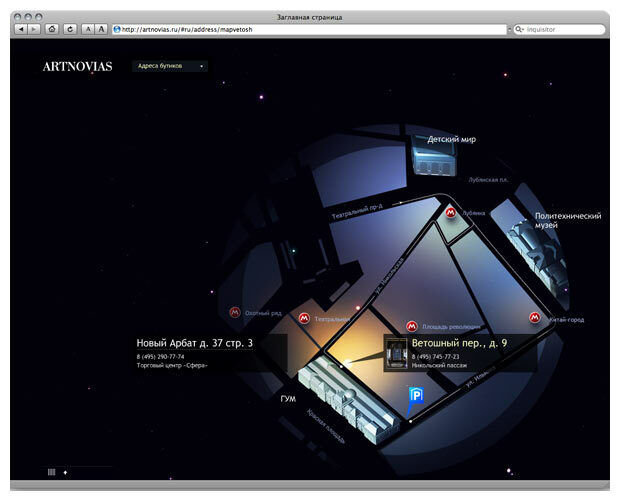 A visitor may choose to read about the company and its designers in full or in short. The site leaves you with a pleasant feeling of weightlessness.